“All my life I only sold vegetables and with that I managed to build a small house. Just when I made my family feel secured, I had to sell it to save my son from an infection that is killing him slowly. He frequently needs blood transfusion. Even if we delay it for a day, not even an ounce of blood will be left in his body. Weakness had consumed him so much that even moving a finger has become difficult for him.” - Bashir, Sameer’s father. A few months ago, Sameer was happily helping his father to sell the vegetables. But he suddenly fell sick and he couldn't work. The temperature of his body was very high and if he is on his foot even for a moment, he would immediately collapse on the ground. The worried parents rushed him to the hospital. 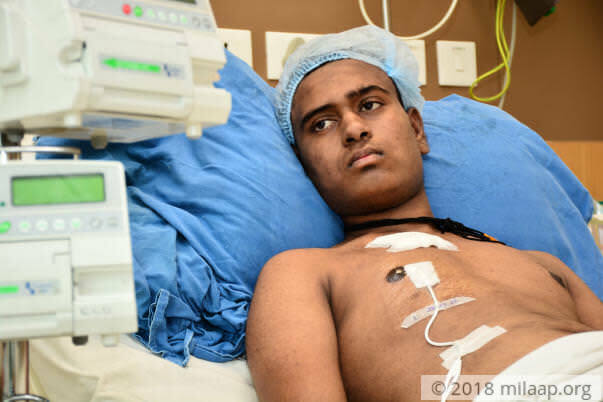 They were told that his blood count is near to zero and is suffering from severe aplastic anemia, a disease in which bone marrow stops producing enough new blood cells in the body. He immediately needed to undergo a bone marrow transplant. 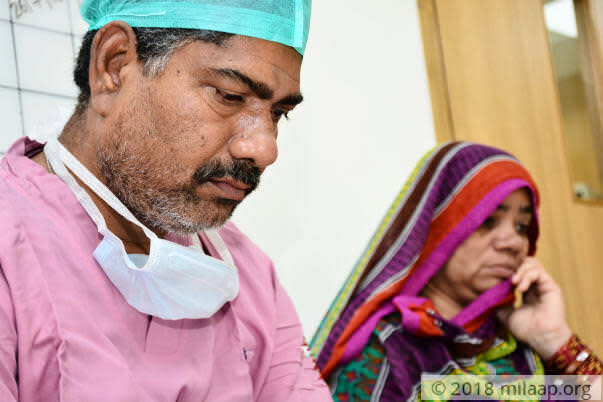 “My wife and I were shocked to hear about this disease, it took us a while to understand his condition and I couldn't bear that his life is at constant threat. We sold the house to afford this expensive treatment, he underwent blood transfusion for every three days. We used to have only two days to arrange the amount for the next transfusion, so the whole family used to starve only to make sure that we had enough money for his treatment. After his surgery, we were hoping that his condition would be better but rather it became worse. He now suffers from an infection that is slowly killing him.” - Bashir. Poor parents were waiting desperately to take him back home. 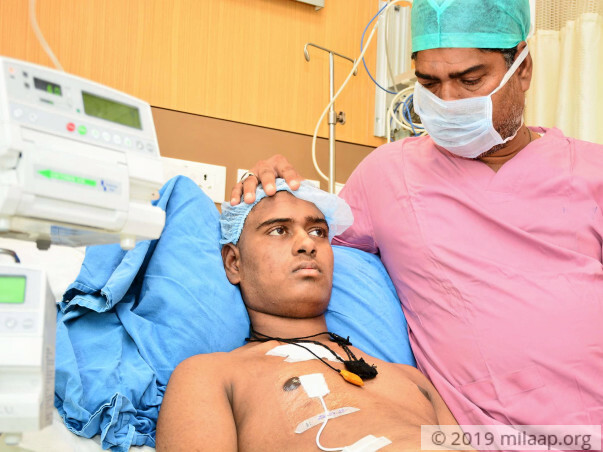 They believed that bone marrow transplant would help him recover completely. Unfortunately, he got severe infections. 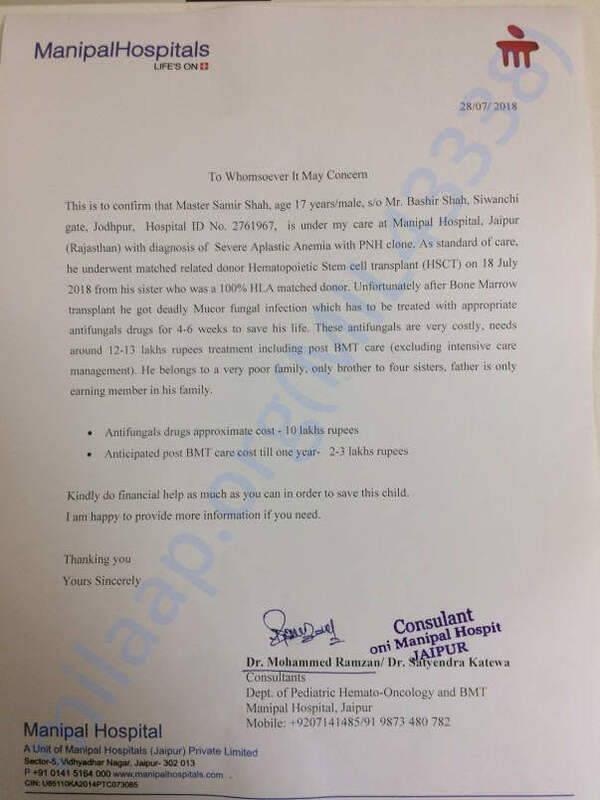 Sameer is diagnosed with a mucor fungal infection which is caused by a fungus that lives in the environment and it mainly affects people with weakened immune systems. The infection occurred on his right chest. He urgently needs anti-fungal treatment which is the only medication that can treat him. 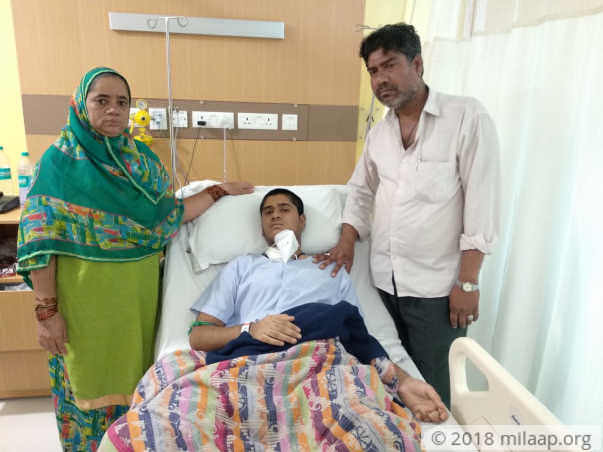 The family managed a surgery for their son but are unable to afford post bone marrow transplant care which will help Sameer recover completely. “He cries in pain uncontrollably. He needs blood transfusion three times in a month as he hadn’t recovered completely. While transfusing blood in him, it is even more difficult for him to battle with pain, he cries inconsolably and exhausts all his energy. As a father, I feel helpless to watch him suffer through the pain. My wife who lives in fear of losing Sameer has also fallen ill.” - Bashir. Bashir was a vegetable vendor who barely earned Rs 200 a day. He is struggling to afford the treatment that can save his son. He has done everything that he could and is now left with nothing. The family has spent 25 lakhs until now and need 12 lakhs to help their son survive. “Now I don’t know where to take my family, we have been staying in the hospital for past three months. I used to feed the family with whatever little I used to earn. Now I don’t have a place to stay and work to do. Life seems very hopeless. I have tried everything to save my son but I am left with nothing to help him survive.” Bashir. 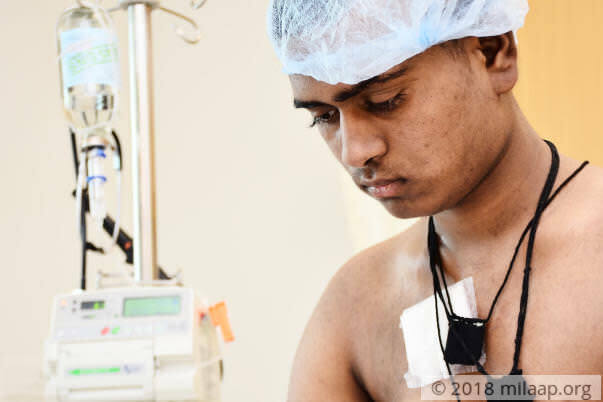 17-year-old Sameer is suffering from a deadly fungal infection and he urgently needs anti-fungal treatment and post-transplant care, without which he may never be able to make it. The poor family is left homeless and despite their best efforts, they are unable to save their child. 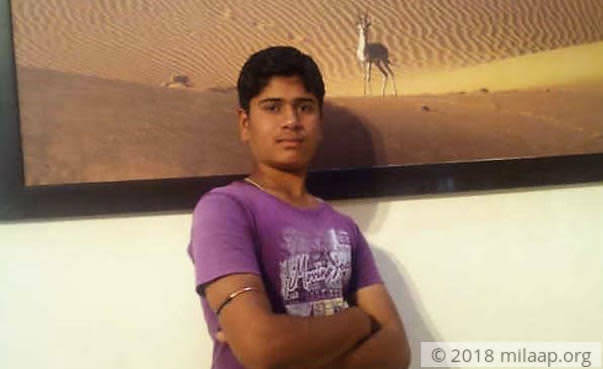 Now they are completely dependent on crowdfunding to help Sameer survive.